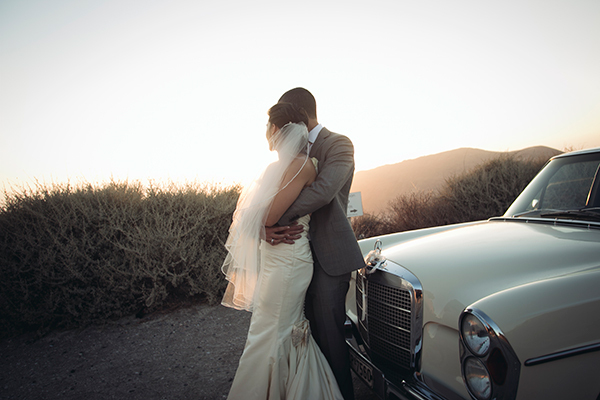 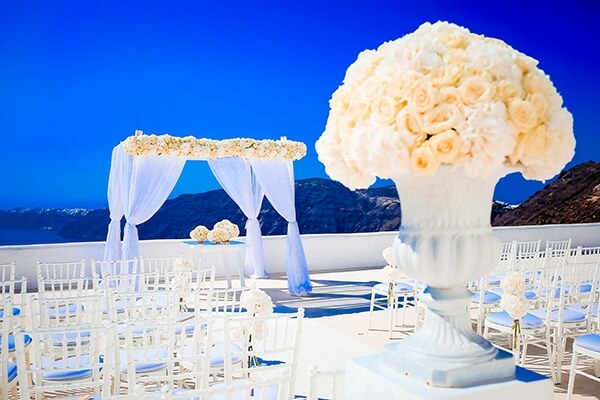 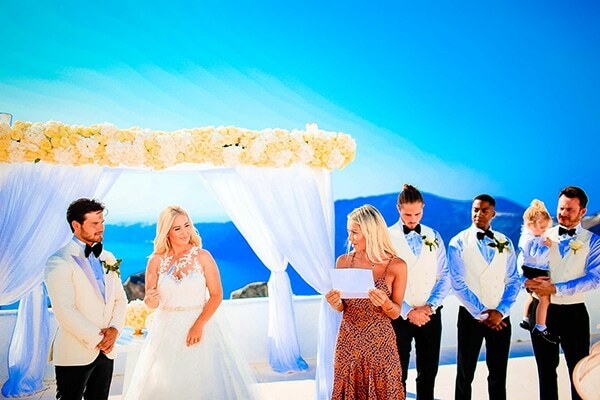 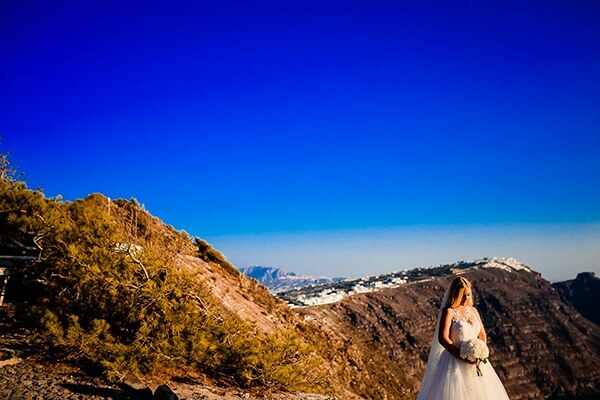 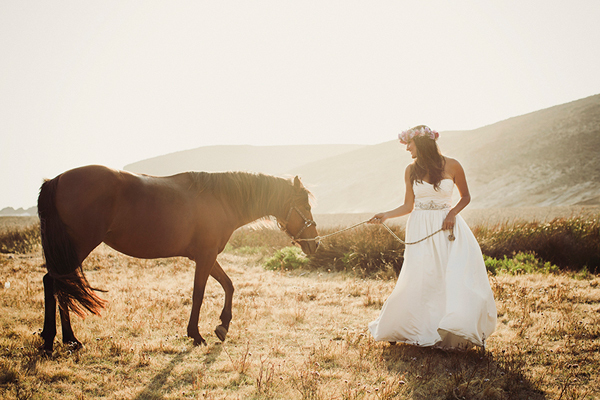 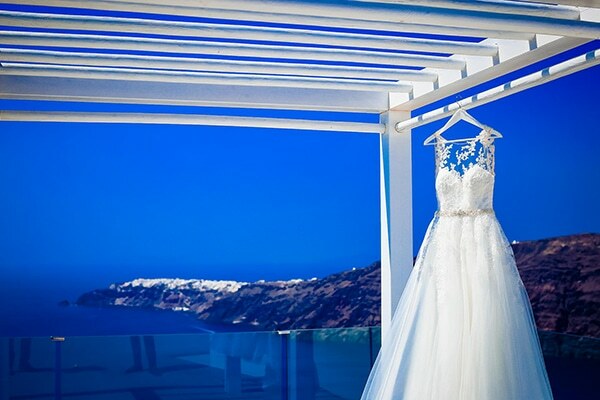 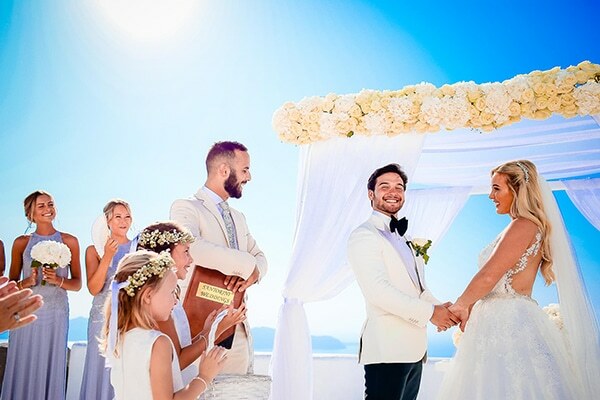 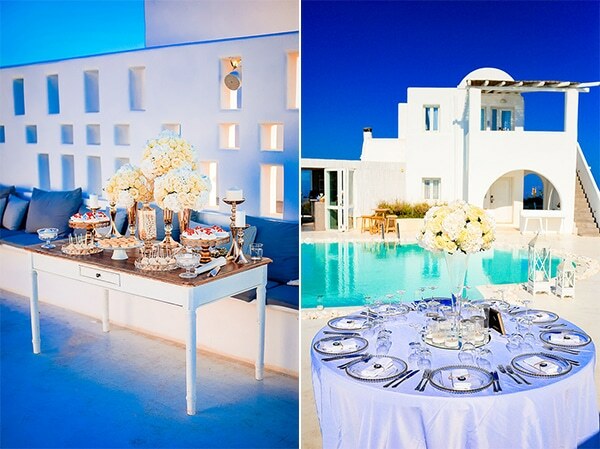 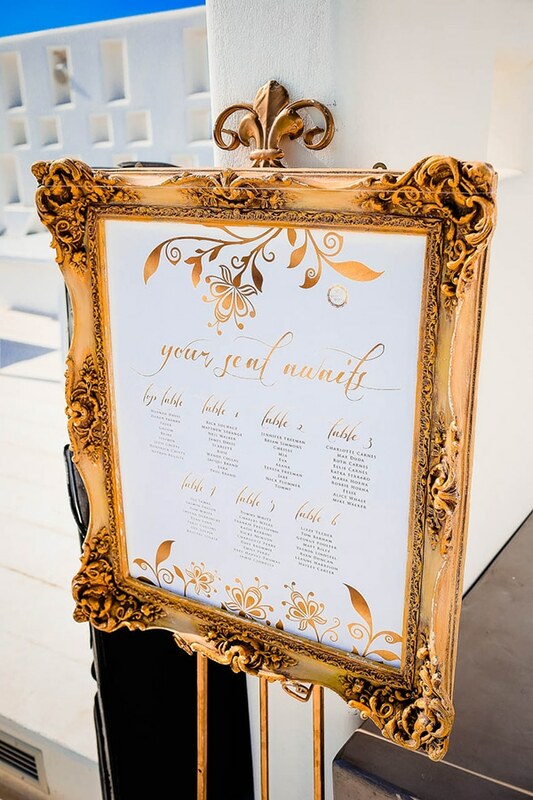 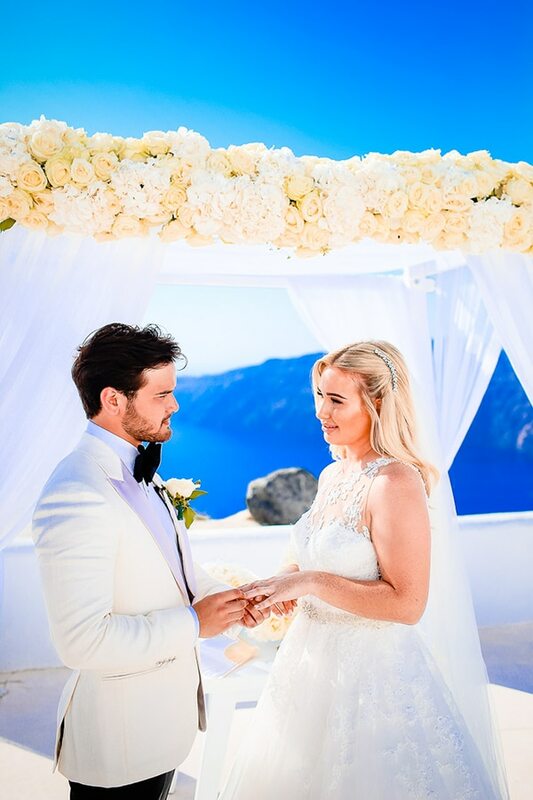 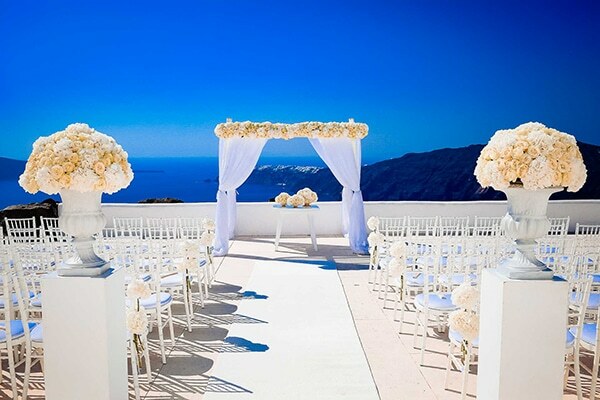 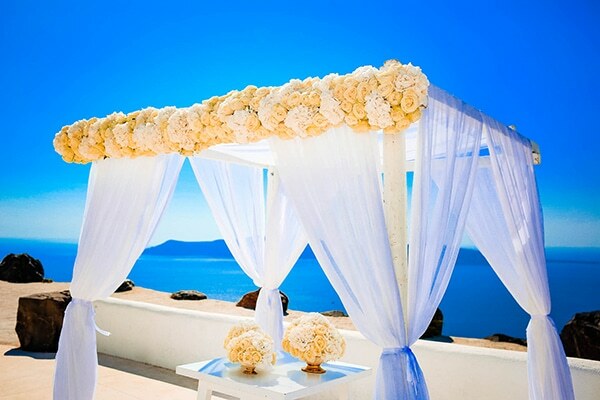 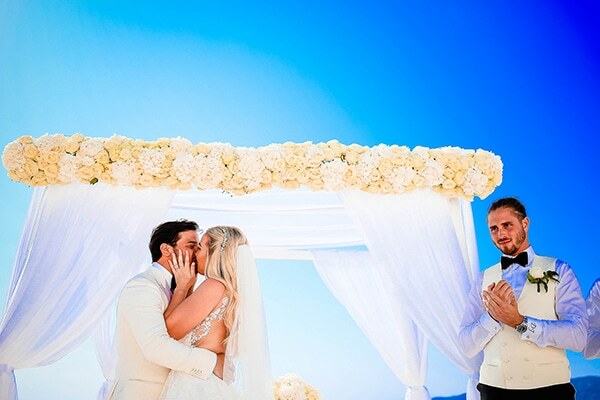 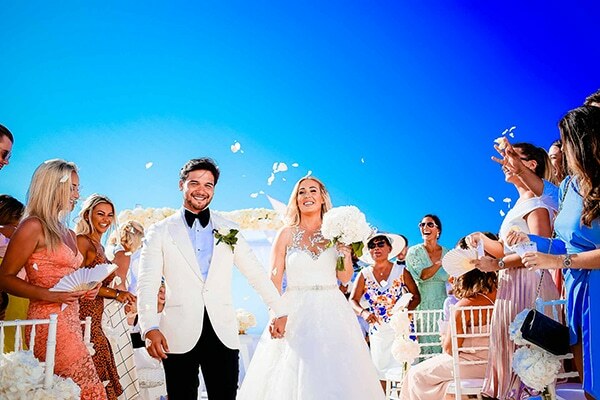 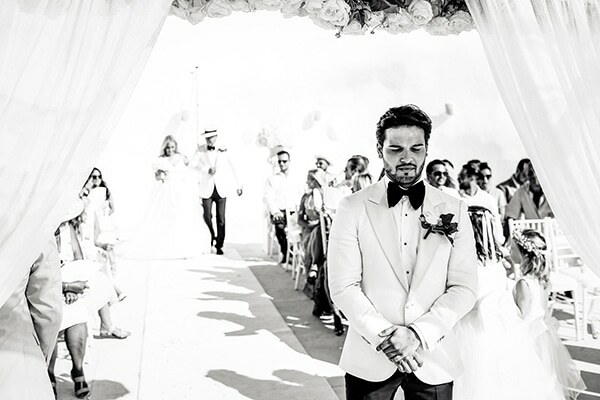 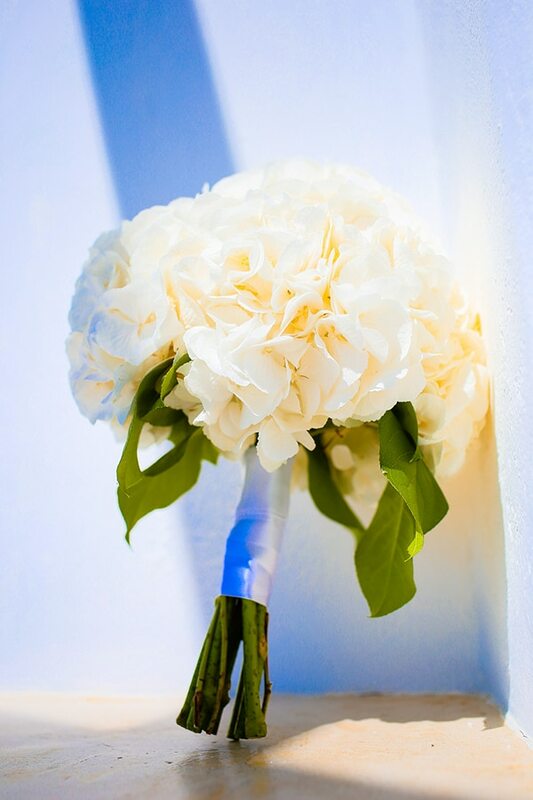 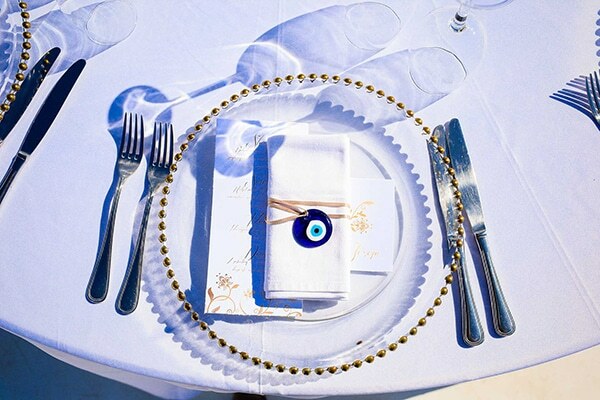 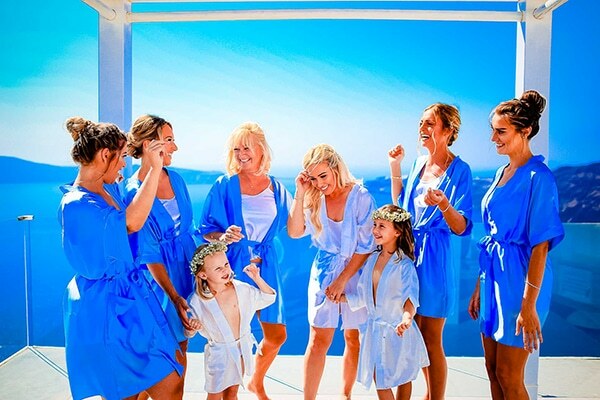 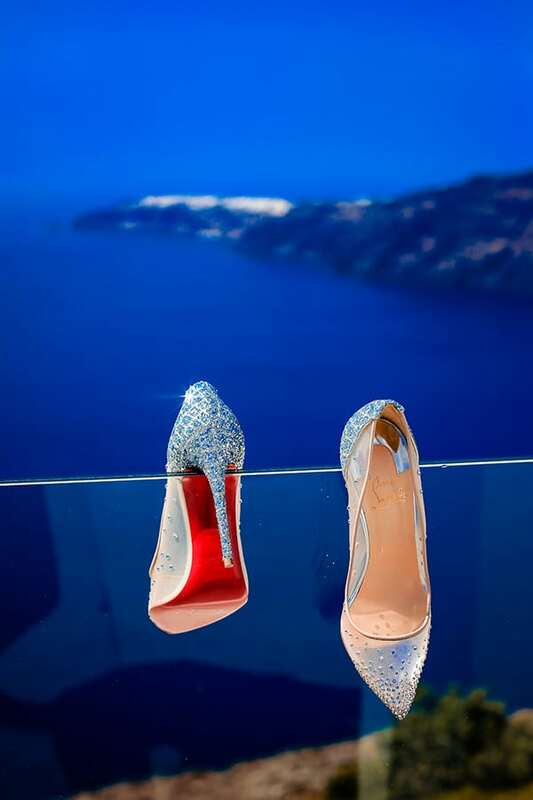 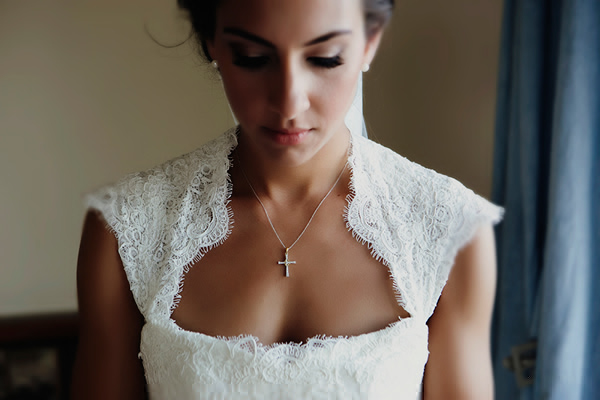 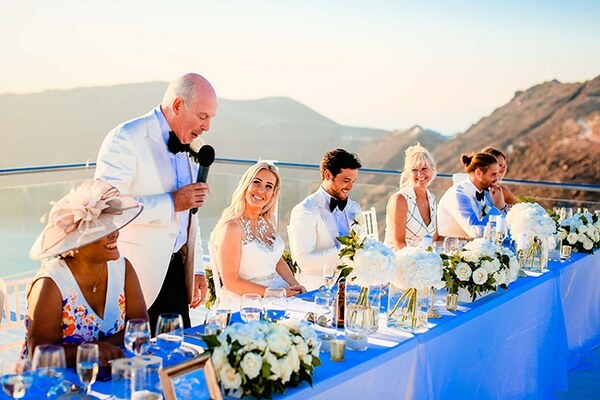 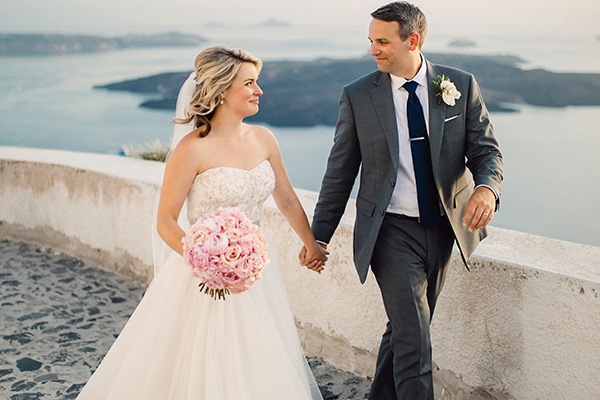 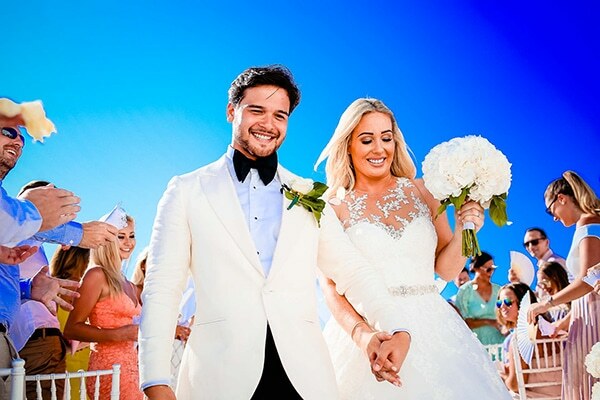 Today we will transfer you to the beautiful Santorini island and to the elegant chic wedding of a gorgeous couple! 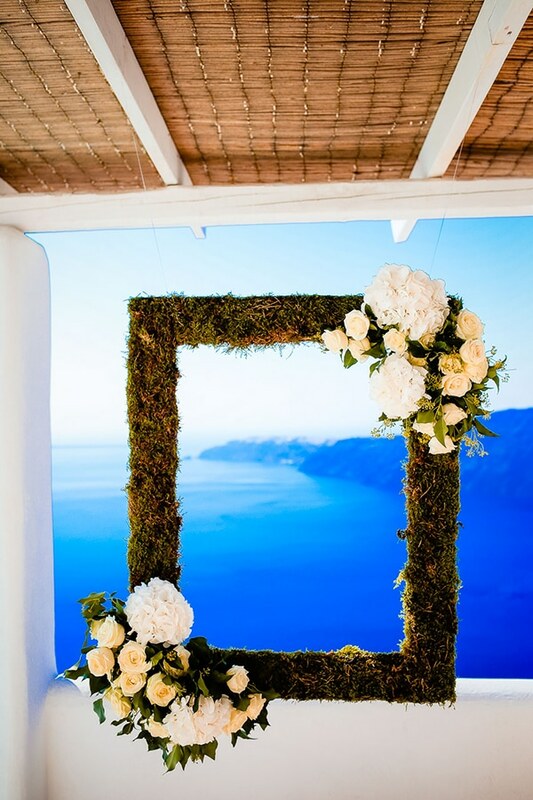 The breathtaking view of the deep blue sea and the natural landscape became the perfect backdrop for amazing shots! 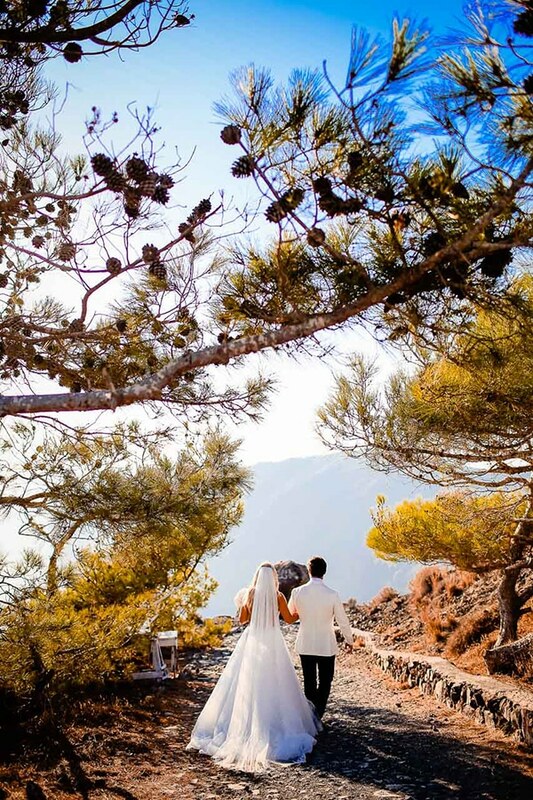 The couple chose to decorate their ceremony and reception venue with elegant details, lovely fresh flower bouquets in white and ivory shades, pebbles and lanterns that added the essential sense of warmth and romance. 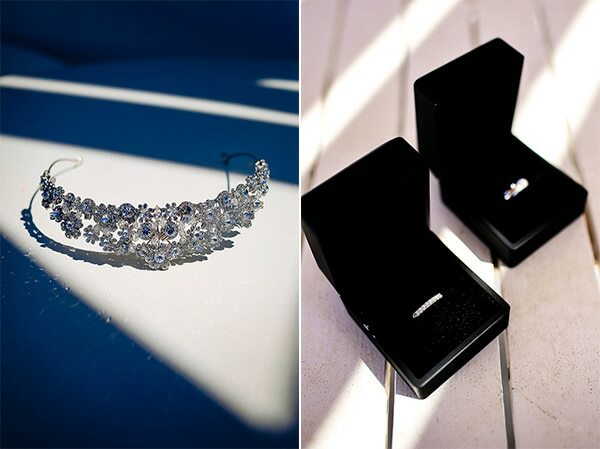 Enjoy every single detail through the following images and prepare get inspired!